The design of the Rabbit Air BioGS is sleek, with a white body, round smooth edges, and simple controls. The controls are simple and include both text and illustrated icons to help explain each control function. The air intake occurs at the sides and bottom of the purifier with clean air forced out at the top of the unit. From the top of the unit you can adjust many of the functions of the air purifier or you use the physical remote control. This air purifier does come in a couple different colors. The Rabbit Air BioGS 2.0 is as medium-sized air purifier. It is 16.6” wide, 22.2” tall and 9.8” deep and weighs 16.8 pounds. The Rabbit Air BioGS air purifier doesn’t come with many fancy accessories. It does come with simple items like the 3-piece filter set, remote control, and a wrapped power cord. The filtration system has five main stages. Rabbit Air BioGS air purifier featuring the pre-filter (on right) activated carbon filter (in center) and HEPA filter (on left). The HEPA filter is designed to trap allergen and particles 0.3 microns in size at 99.97% efficiency. RELATED – What’s a HEPA filter? Normal Residential Use: This mode would cover 625 sq. ft. of room coverage and provides two air changes per hour. 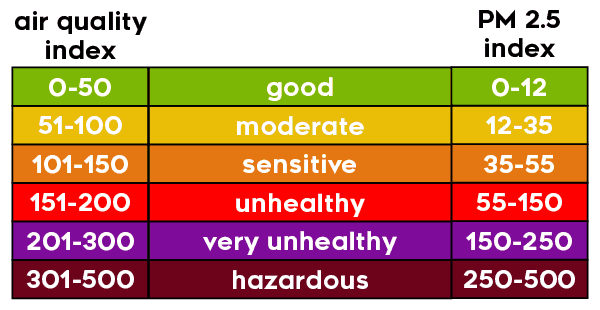 Allergy Sufferer Use: This mode can cover 313 sq. ft. of room coverage and provides four air changes per hour. The power cord is wrapped with a bold textile that gives the cord a modern aesthetic and helps to prevent fraying or splitting of the cord. In my nerdier life, I am a PC gaming enthusiast. So I am familiar with, and a fan of, quality wrapped cords. The cord wrapping on the BioGS was a complete surprise. It’s easily one of the best wrapped power cords I’ve seen to date. The overall performance of the Rabbit Air BioGS air purifier was impressive. Within 1 hour the BioGS removed 91.5% of air particulates and within 4 hours had removed 97.9%. RELATED – What’s the best air purifier for 2019? We answer in this in-depth guide. Once we unboxed the Rabbit Air BioGS, setup was easy. All we did was put the purifier in a selected room, plug it in, and turn it on. Does the Rabbit Air BioGS have app control? This model does not offer app or smartphone-based control. The remote control feature is utilized through the use of the physical remote control. If you’re looking for app-based smartphone control you may want to check out the Rabbit Air Minus A2 and see our review here. How easy is the Rabbit Air BioGS to use? Usability is just as simple as initial setup. There are a few features that help to make usability even easier on this model. The filter indicator will let you know when it’s time to change the filter. If you’ve got little ones in your home, you can have some peace of mind knowing that the Rabbit Air BioGS has a child-proof front panel. Childproof panel provides configuration information and control. The magnetic latch makes it easy for adults to remove. Any time the panel is removed, the purifier stops running, as a safety precaution to little ones who might be nearby. 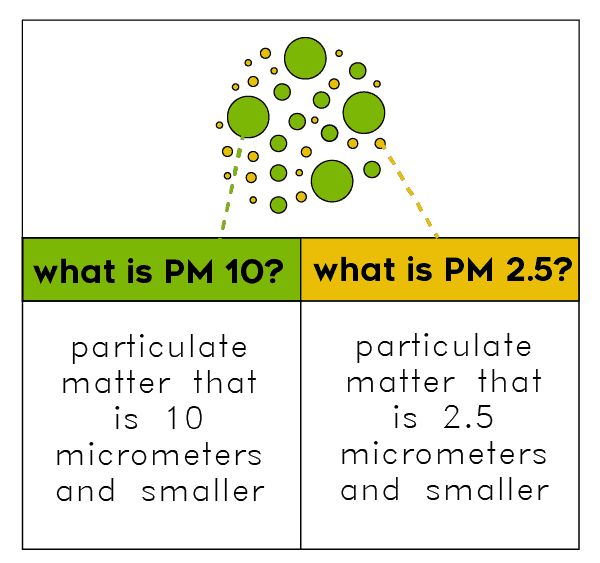 There is also an Auto Mode that analyzes air quality and automatically adjusts as necessary. There are three different levels of Sensitivity that the Auto Mode can go off of. This is a nice feature concerning usability because it takes the guesswork out of setting up your air purifier. On the Rabbit Air, the filter indicator is pretty advanced and has a range of notifications. Depending on how you use your BioGS you may need to replace filters a bit more or less often. As a general rule, replacing the filters every 18 months or so is typical. This comes out to around $40 / year in filter replacement costs. You can find replacement filters here. How loud is the Rabbit Ait BioGS? This Rabbit Air air purifier model has five different fan speeds. Highest fan speed the decibel level was closer to around 55 dB. The ambient noise in the room we tested was around 40 dB (even with the purifier turned off). Suffice to say, it is virtually noiseless when on the lowest fan speed. Is the Rabbit Air BioGS a Good Value? In my view, absolutely, the Rabbit Air BioGS is a solid value. The BioGS does everything I look for in an air purifier. It covers a large room size at up 625 sq. ft.
It’s simple to use, especially when you use the auto modes. Once you get it set how you need it you can really just ignore it. The only thing I wish it had was smartphone control, but given the price, it’s not something I’m too disappointed isn’t included. Room Coverage ~625 sq. ft. Overall, I was impressed with the Rabbit Air BioGS air purifier. It is reasonably priced for what you get and offered quality air purification in a way that was simple, quiet, and effective. Want excellent performance: Bottom line, if you’re looking for excellent performance the Rabbit Air BioGS was extremely impressive. It was able to quickly and effectively treat the air, improving the air quality in our test room by 97.9%. Don’t need “smart integration”: While more advanced air purifiers have a level of “smart integration” like app control via smartphone, the Rabbit Air BioGS leaves out this features. This likely allows the purifier to come in at a lower price than it would if app control were included. If you can live without it you can save a few bucks. If you want smartphone control see our review of the Rabbit Air MinusA2. Quiet Operation: This air purifier was exceptionally quiet on the lowest settings and did not exceed even normal room ambient noise. Even on the highest settings it really isn’t that loud at around 55 dB (at 3′ away). The dimming control buttons were another nice feature that made this air purifier virtually undetectable in the space. For more information or to buy the Rabbit Air BioGS 2.0 click here. The Rabbit Air BioGS is a high-performance air purifier with 4 stages of air purification. It includes a HEPA filter for fine particulates, charcoal-based filter for removing odors, and an ionizer (which can be turned on / off). While it lacks smartphone integration, it does have a remote control. It crushed our cleaning tests, improving air quality by 97.9%.